About "The Elegance of Kyoto"
On October 11th, Miyabi Yuki participated in an event called "The Elegance of Kyoto." 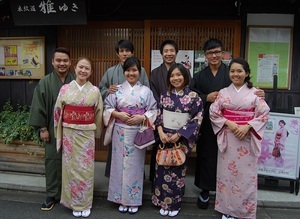 For this event, members of the press as well as executives of Japanese branches of foreign companies and travel agencies were invited to Kodaiji Temple see all that Kyoto can offer. 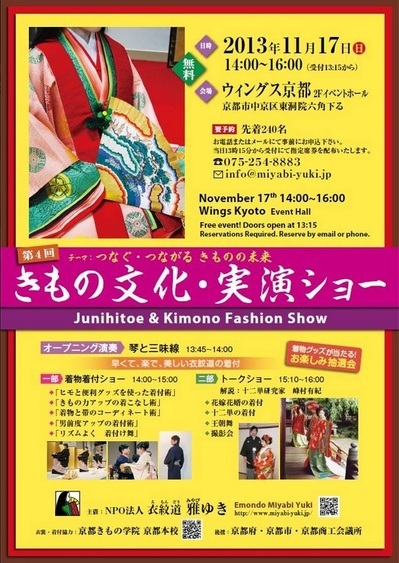 Miyabi Yuki presented a Junihitoe dressing show with English commentary as well as a Shirabyoshi dance performance with live gagaku music. 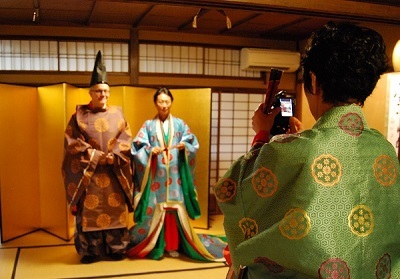 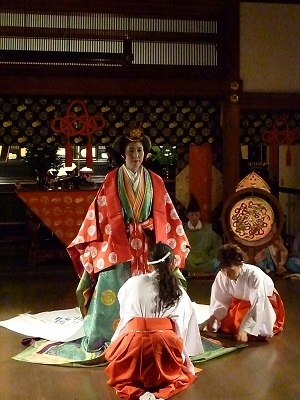 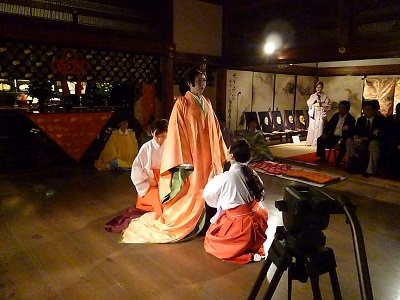 This event also featured performances such as noh, kyogen, koto playing, and a classical ensemble. 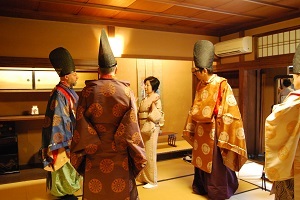 In addition to being able to enjoy Kodaiji Temple at night for this private invite-only event, there was catering and opportunities to mingle with other guests. 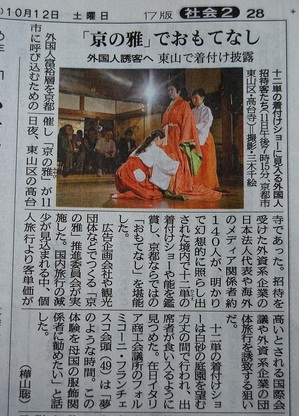 Everyone who was involved in the event participated because we want the world to know more about Kyoto! Kyoto is a beautiful city, and we hope that people from around the world will visit and enjoy the culture, art, and food of on the ancient capitals of Japan! 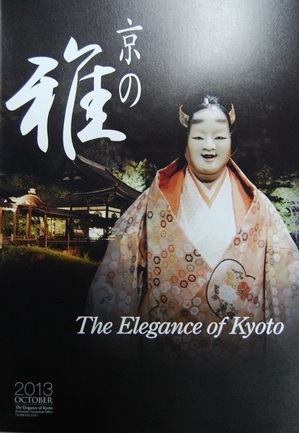 At the event, a special magazine with content entirely in English was available for visitors! 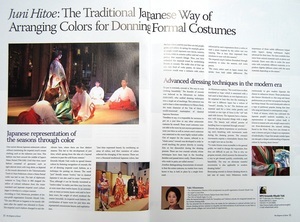 In this magazine, there is a two page article about Emondo Miyabi Yuki and junihitoe based on an interview with our chief director, Yuki Minemura! 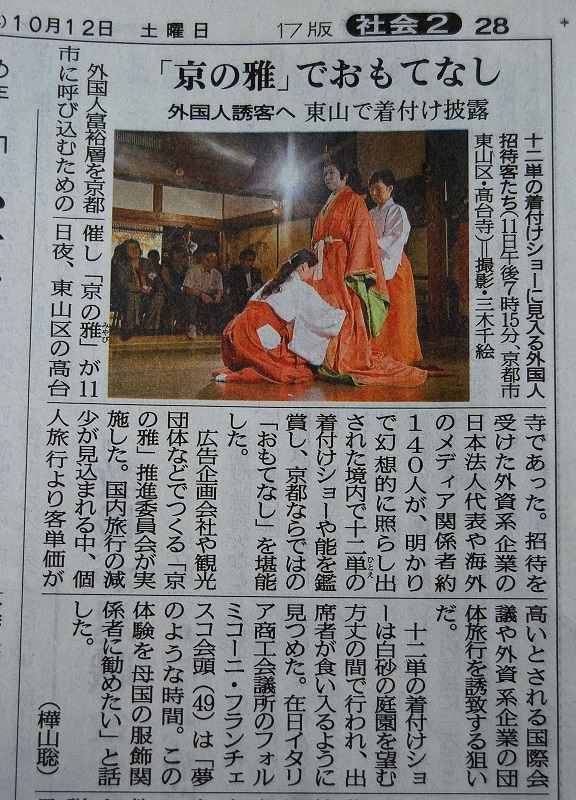 Here is a shot of the article! Click the image to see a bigger version! 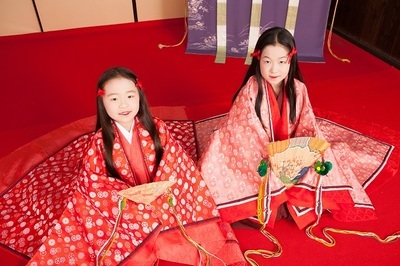 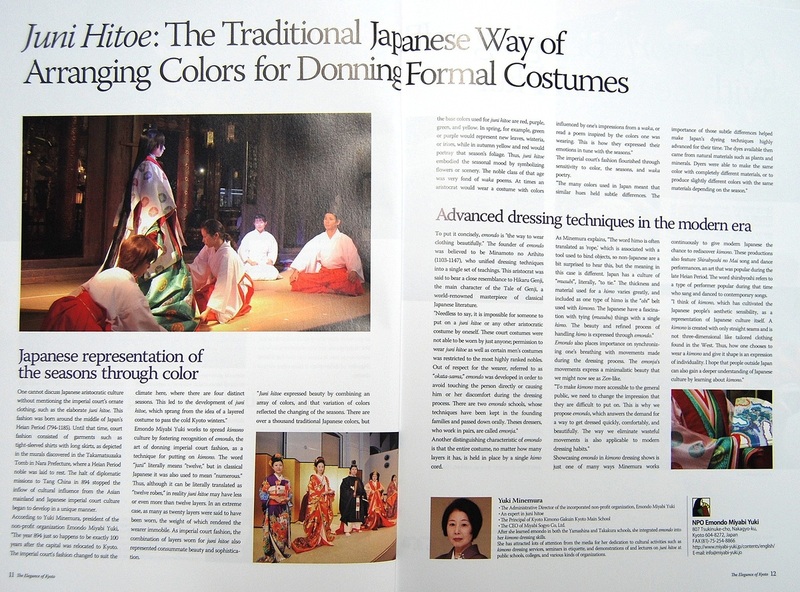 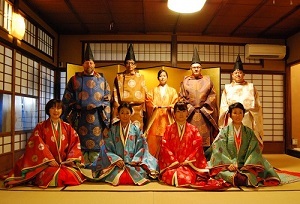 There is tons of specialized information in the article that can be hard to find in English sources, if you are interested in the Heian Era or Japanese costume history, definitely take a look! 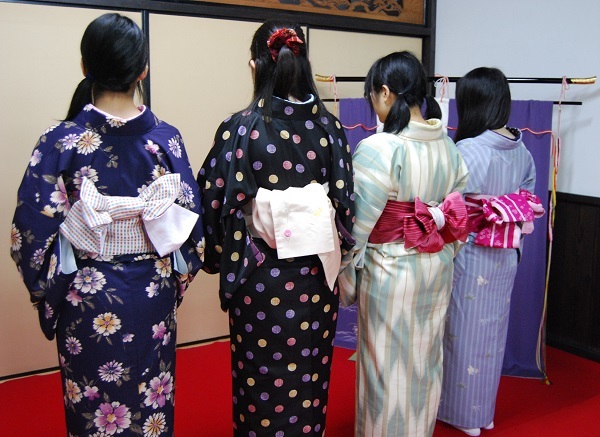 At Miyabi Yuki it is our goal to promote kimono culture in Japan and abroad so that Japanese traditional clothing can thrive in the modern age. 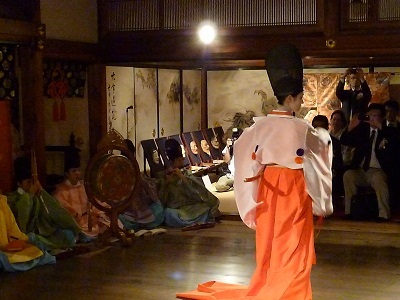 We truly enjoyed participating in this event and hope that it inspires people to take an interest in Kyoto and all of the wonderful cultural experiences that can be enjoyed here!